“Bloggers, businesses, and organizations often ask us, ‘What are people pinning from my websites?’ These website owners help create the content on Pinterest and we wanted to help them understand which pieces of content people find most interesting. 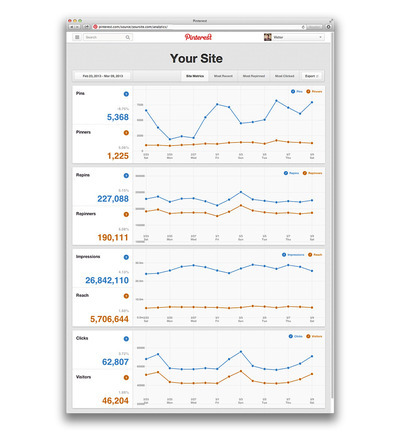 Today, we’re pleased to announce Pinterest Web Analytics, a first step towards doing just that. 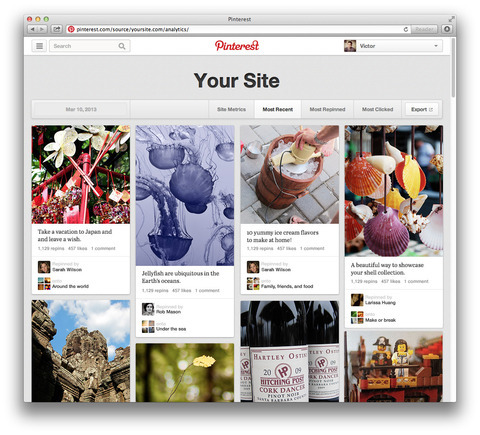 Web Analytics gives site owners insights into how people are interacting with pins that originate from their websites,” wrote Pinterest on its blog. 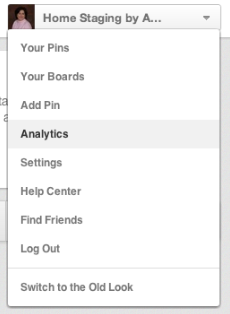 Pinterest launched an analytics component to its platform. 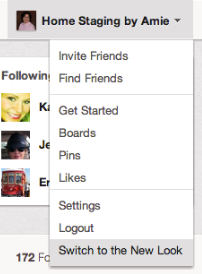 Users can see most recent pins and those that are most popular. Business users must switch to the new look in order to use analytics. Click on Analytics from drop-down menu.